Tuttosport (h/t Calciomercato) claims that Inter Milan’s director of football, Piero Ausilio, has conducted preliminary talks regarding a move for Tottenham midfielder Christian Eriksen. The report adds that the Dane’s contract ends after next season, and the Spurs are yet to finalise a new deal with the 27-year-old. Juventus are also interested in the Dane, and the report adds that Eriksen is being heavily linked with a move to Italy. However, the two Italian giants could find it difficult to sign the midfielder as the report adds that Eriksen could cost more than €100million. The report claims that Tottenham are reluctant to sell their talisman from the midfield, even though his contract ends in 2020. The Dane had gone on a bit of a lean spell in front of goal but has found his mojo again after his goal against Kosovo in an international friendly. Eriksen is one of the best players in the Premier League and replacing him would be difficult. The 27-year-old has recorded one goal and three assists in his last three games for Spurs, and will be crucial to our hopes of finishing in the top four and progressing in the Champions League. 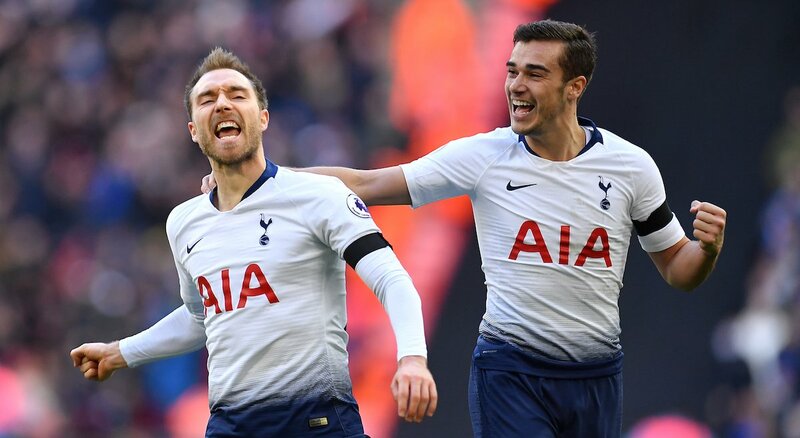 Spurs hold a one-goal advantage over Manchester City ahead of the second leg quarter-final in the Champions League, and we need Eriksen to perform at his best.